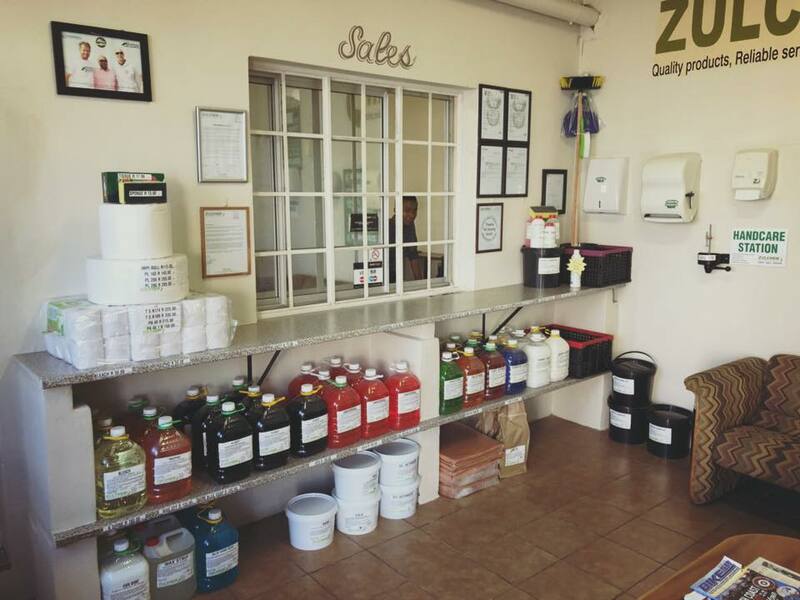 Zulchem was established in Empangeni in 1978 when Willie Knoetze identified a need for a supplier of industrial cleaning detergents and chemicals to hospitals, hotels, factories, garages and schools. In 1991 he was joined by his sons, Anton and Deon, to head up Operations and Marketing/Sales respectively. In 2007 Zwchew Services cc t/a ZULCHEM was created to incorporate Anton and Deon into the official ownership structure. The company now occupies a 300m2 under cover site in Empangeni Rail and employs 9 staff members. Today the company is a leading supplier of cleaning detergents, chemicals and associated paper products to most major companies in Zululand. We have been manufacturing chemicals and supplying cleaning services for over 40 years in the greater Zululand area and have recently opened a branch in Ballito to expand our services to Durban and outlying areas. Zulchem specialises in Hygiene and Domestic Chemicals. All chemicals are manufactured according to specification and have M.S.D.S. forms. “As a private family owned business our commitment has always been on service and quality. No customer is less important than another and no order is too big or too small.Training forms an integral part of daily routine and the upliftment of all personnel is the ultimate goal. In-house and other training courses are of utmost importance to ensure a productive and stable workforce. The result is consistency and quality throughout our product range. In addition to our range of chemical cleaning products we also supply dispensing systems, paper products, hygiene brushware and cleaning equipment. Our chemical cleaning products are manufactured to formulae that have been proven safe, effective and competitive. With advances in technology the products have evolved to become perfect for their purposes." Zulchem is committed to establishing and maintaining itself as a leading supplier of industrial detergents and chemicals. To achieve this goal we will totally satisfy our customers' requirements and expectations in the quality of our products and services. We are committed to establish, maintain and continually improve a Quality Management System (QMS) that conforms to the ISO 9001:2000 requirements. Reacting to problems quickly and systematically and fostering a team approach to problem solving.